The Hong Kong Soccer 7s will be on this weekend at the Hong Kong Football Club at Happy Valley. English Premier League teams such as Newcastle United and Leicester City will be sending squads out to compete. Scottish giants Glasgow Rangers and Italian Serie A club Cagliari Calcio with also be competing over the weekend. 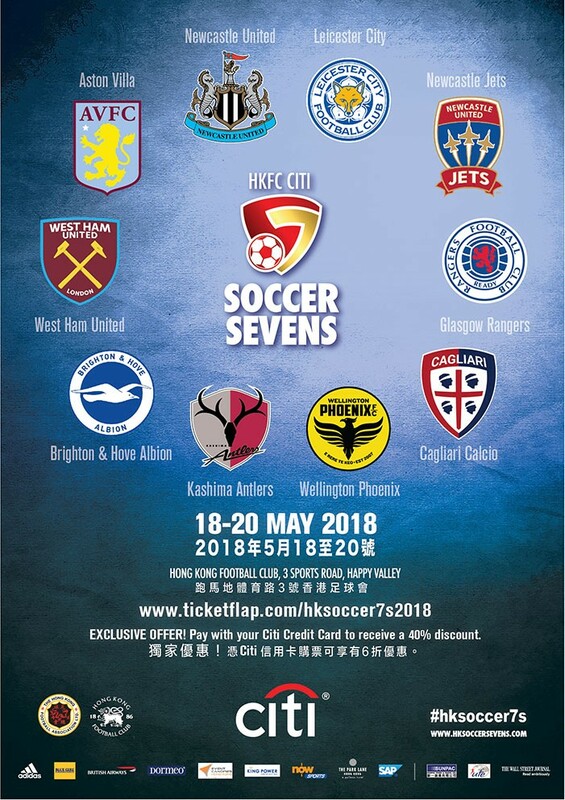 Details of the tournament can be found at the following website www.hksoccersevens.com.